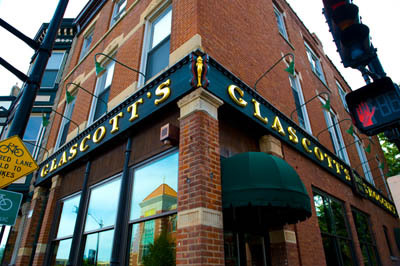 GLASCOTT SALOON has been run by the same family since 1937, so if authentic is what you're after, authentic is what you get. The time honored and true is on display here, from the delicious food to the strong drinks... from the family photos on the walls to the tin ceiling! Much work has gone into keeping this place as good as it originally was, and they're doing a great job. There is a good mix of people here, including college kids and the older crowd, but everyone is mature and laid back.